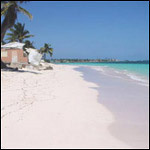 The Beaches of North End, Rocky Cay, Cocoplum, Sound Bay, Johnny Cay and Acuario. In Providence the beaches of Manzanillo, Fresh Water Bay and South best Bay and others. Visit the beaches of our Archipelago, enjoy with your family and friends of a sunny day at the beach, walk by the moonlight. 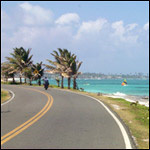 The beaches of San Andres are the best. Native sector of the island. Its the highest place of the island (approximate 120 meters above sea level), where you can see the most spectacular views of the caribbean sea, where the contrast of blues and greens make a mixture of colors that is called the “seven colored sea”. For the adventurer and ecologist there are paths, lagoons, sidewalks, roads, horse trips, that make the island a place full of magic. For the historians we have the first church of the island, its a place that you must visit, you will enjoy the most spectacular view of the San Andres bay. This beautiful area is full of history and culture, in the past it was an important port where ships full of coconuts embarked, right now it is a very quiet place, away from the noise of the city, with long and beautiful beaches, typical restaurants and a beautiful environment. 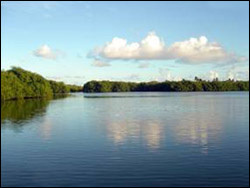 In the Archipelago we have 12 mangrove forests, being this very important for the reproduction and preservation of the flora and fauna, between them we find the red, black and white mangroves, also the visitors can see oysters, crabs, iguana, lizards, endemic and migratory birds, making an ideal place for education and fortifying activities of development such as eco-tourism. 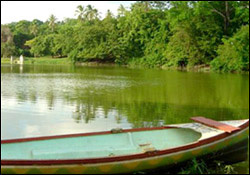 It is located in the native sector of The Hill, it’s about 400 meters long and 250 meters wide, this natural beauty takes water from the rains, it is a shelter for bio diversity of animals like white Heron, pigeon, palm trees and fruit trees. It’s possible to see a variety of little alligator, that make the place a obligatory trip to those who love nature and ecology. This quiet bay, it’s in the South East sector of the Island, a must visit if you enjoy beautiful sunsets. this is the place where cruises dock in the Island. This beautiful cay was converted to a natural park in the year 2001, for it’s beauty and beautiful landscapes, and because you can find more than 30 species of fishes that live in this area, its long area has a specie called "beach cedar" that controls the erosion of the beaches because of the effects of waves and strong winds, becoming as a shelter of a lot of beaches birds. In all around it you can see beautiful beaches and big coral forms, where easily you can observe a variety of species, being an attractive for their visitors to practice water sports, like snorkeling, diving and others. Coral Cay full of palms, with a lot of visitors and natives that practice water sports, you can make delicious BBQ, camping and simply spend quality relaxation time, it has restaurants that offer delicious food from the island. 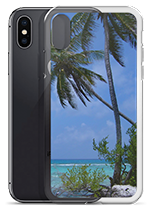 This beautiful sea contrast in all tones of blue, beaches and palms its an ideal scenario to make weddings, because in San Andres you can make them only with your ID or passport. 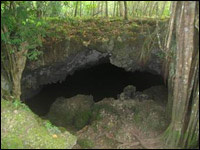 Legend has it that the Pirate Henry Morgan, used this cave to hide his treasures. 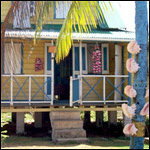 Today is one of the most visited tourist attractions. You can enter the cave and visit the small museum. Think of a big natural pool, where you can make a lot of activities, like snorkeling, swimming and diving, this is West View, you can easily get in form the edge with a 5 to 30 feet depth (3 to 10 meters), you can go with all your family and taste the typical food that the restaurant offer to the visitors. Bolivar Cay, Albuquerque, Roncador, Quitasueño, Serrana, Serranilla, These are small Keys conformed by small islands, some of them are only sand banks, others have a lot of vegetation, they are part of our Biosphere Reserve. Some of them have a light house that guides ships that come to the island from world destinations, other keys have a military base to defend our nation's sovereignty of the Archipelago. Before visiting this place, close your eyes and imagine a great beach with white sand touching your feet, palms in your surrounding and no one there, with the noise of the waves, birds and the peace you always want. Only 17 miles away from San Andres you can find this paradise in the middle of the sea, it offers you the possibility to practice water sports like diving, snorkeling, fishing and others. This Cay is 50 nautical miles south, surrounded with a big barrier, ideal to practice water sports, like Bolivar Cay, a paradise full of magic. Only 5 minutes in boat, also declared Natural Park of our Biosphere Reserve, thanks to his crystal clear waters a variety of species that we can find, it makes it special to practice snorkeling, also it has a small peak where you can see spectacular contrast of blue and green formed in all the reef zone. For the more audacious and ecologists, there is a place 45 minutes walking, is the tallest part of the island, there you can see the big fantasy that captures the fantasy of this Island in the middle of the Caribbean. A rock formation in Santa Catalina that resembles a human head. A wooden bridge that connects the island of Santa Catalina with Providence. A man made Dam, to hold the fresh water from the mountains. They are two rock keys with little vegetation, situated between Manzanillo and Crab Cay. In their surroundings we find a big habitat for birds and gulls. A very small island, with spectacular view from the top of the hill, and excellent location for snorkeling.